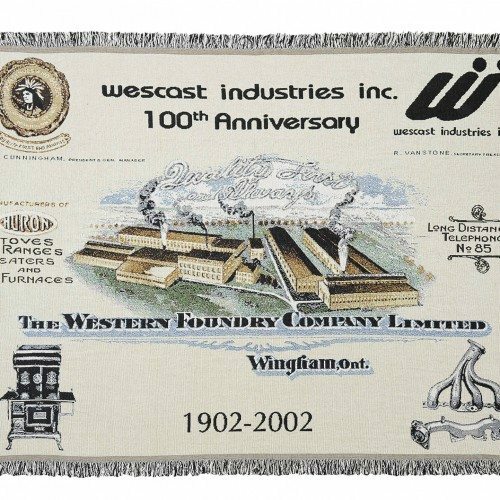 Our Single-Layer Tapestry Blanket is perfect for commemorating a company milestone, hosting a sales meeting, holding a charity golf tournament or recognizing a supplier, customer or employee. 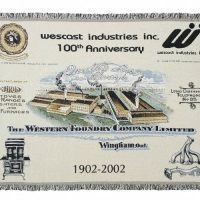 This custom-woven throw will be valued as a beautiful decor item, as well as promote your message for years to come. Just give us your concept – a picture, a design or even a school team or corporate logo – and let us do the rest. LEAD TIME: approximately 6 weeks after receipt of P.O. and artwork approval. 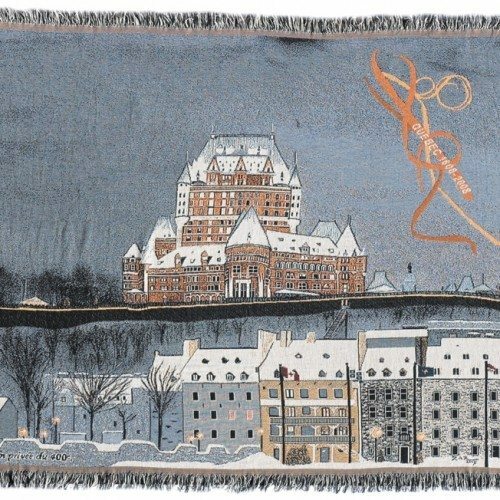 Check out our other tapestry blankets here. Please note: we reserve the right to allow a 5% variance in the actual production quantity. Please contact us for more information on custom designs, minimums and stock levels. All products come with unlimited colors. Please call our customer service team to discuss decoration options further. Recommend dry cleaning, but can be hand washed in cold water separately. Hang to dry. Do not bleach. 25 pieces, Less than minimum available with additional set – up charge. 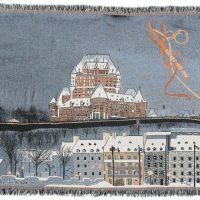 Single layer tapestry blanket. Combines natural cotton with unlimited colors.